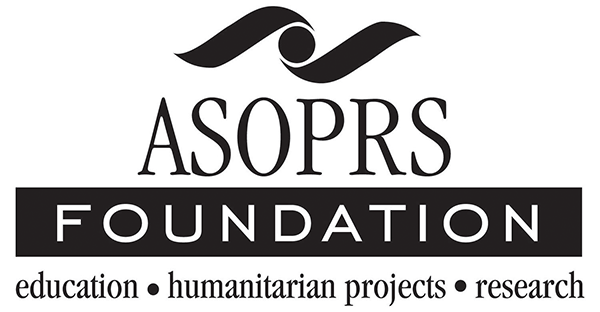 WHAT IS THE ASOPRS FOUNDATION? The American Society of Ophthalmic Plastic and Reconstruction Surgery Foundation was established in 1999 as the philanthropic arm of the American Society of Plastic and Reconstructive Surgery (ASOPRS). The American Society of Ophthalmic Plastic and Reconstructive Surgery was founded in 1969 to establish a qualified body of surgeons who have training and experience in this highly specialized field. The purpose of the Society is to advance training, research and patient care in the fields of aesthetic, plastic and reconstructive surgery of the eyelids, tear system, orbit and face. The ASOPRS Foundation is dedicated to ongoing education, humanitarian projects, and research in the field of Ophthalmic Plastic and Reconstructive Surgery, locally, nationally, and internationally in harmony with the ASOPRS mission. We are asking for a minimum (or more!) of a $50.00 contribution from all of our members. Please show your support for the ASOPRS Foundation. 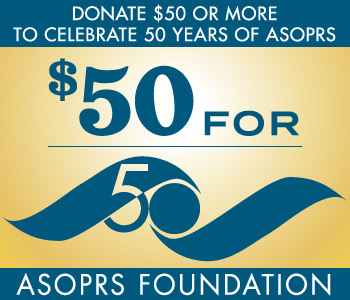 The ASOPRS Foundation is recognized by the IRS as a 501(c)3 organization. Your gifts to the Foundation are Tax Deductible to the limits of the law. Welcome our New ASOPRS Members! 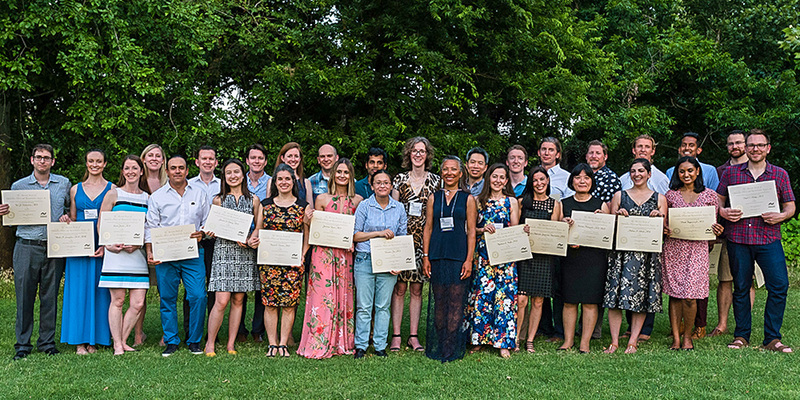 ASOPRS inducted 27 members at the Spring 2018 Symposium. Congratulations to: Jasmina Bajric, MD; Andre Borba, MD; Nariman Boyle, MD, Talmage Broadbent, MD, Ashley Campbell, MD; Jessica Chang, MD; Rao Chundury, MD, MBA; Christopher Compton, MD; Roxana Fu, MD; Allan C. Pieroni Goncalves, MD; Sarah Mireles Jacobs, MD; Charles Kim, MD; Marcus Ko, MD; Nicole Langelier, MD; Lyndon Lee, MD; Kyle T. Lewis, MD; Suzana Matayoshi, MD; Helen Merritt, MD; Pradeep Mettu, MD; Payam V. Morgan, MD; Maria Antonieta Ginguerra Naschimento, MD; Jonathan M. Pargament, MD; John David Pemberton, MD; C. Blake Perry, MD; Paul Phelps, MD; Karen Elizabeth Revere, MD; Tal Rubinstein, MD; Yasmin Shayesteh Chambers, MD; Mansa A. Sohrab, MD; Preeti Thyparampil, MD; Rob Vickers, MD; Marc Yonkers, MD, PhD. The ASOPRS Foundation was pleased to provide educational grants to these individuals to offset their registration fees for the Spring Meeting. We look forward to working with them throughout their membership with ASOPRS. Thanks to all the supporters of the ASOPRS Foundation for helping us provide these educational grants.